MainAll NewsDefense/SecurityIs terror the result of misery? Weekly terror report: Nearly 600 terror attacks have been committed in Judea and Samaria since the beginning of 2019. Seventy-seven stone-throwing attacks were reported in Judea and Samaria over the last two weeks. In another incident the window of a car was smashed with a hammer, breaking the driver's hand. Fourteen firebomb attacks, two stabbings, and two shooting attacks were committed against Jewish residents of Judea and Samaria. 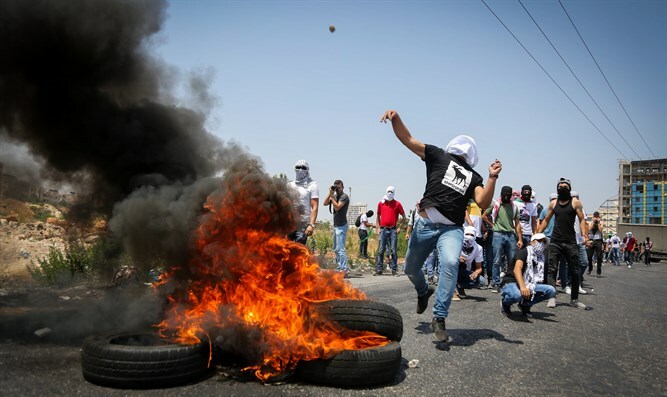 In total, 596 terrorist attacks have been committed against Jews in Judea and Samaria since the beginning of 2019. Is Arab terrorism in Judea and Samaria the result of difficult living conditions in Palestinian Arab areas, as many in the West believe?